he Witchwood Crown, Tad Williams’ latest Osten Ard novel, has been nominated by Goodreads, in the category “Best Fantasy novel of 2017”. Other nominees include J.K. Rowlings’ Fantastic Beasts and Where to Find Them, Neil Gaiman’s Norse Mythology, and Robin Hobb’s Assassin’s Fate. Williams’ return to the world of Osten Ard after a more than twenty-year gap has been lauded by critics, with Den of Geek calling the novel “a rich world populated with characters that compliment each other,” while SFFWorld.com states the novel is “a weighty, emotional, and engrossing launch” and is “highly recommended”. Barnes and Noble calls it a “triumphant return to a beloved Fantasy world”. Even Kirkus Reviews, no fans of Williams’ previous works, calls The Witchwood Crown “stunning” and “virtually un-put-down-able… an instant fantasy classic”. The huge volume, more than 700 pages in length, was written from 2014 to 2017. Set 34 years after the end of the last Osten Ard novel, To Green Angel Tower, The Witchwood Crown continues the story, as Simon and Miriamele now rule the land over which they successfully won a war more than three decades ago. Although they have rebuilt the kingdom of Osten Ard, their lives have been shattered by personal loss. And now the shadow of a threat moves once more, as their old enemies, the immortal Norns, stir again in the far north. The Goodreads Choice Awards is a major book award decided by readers. Goodreads members may vote for their favorites. Voting for the first round will end on November 6th. 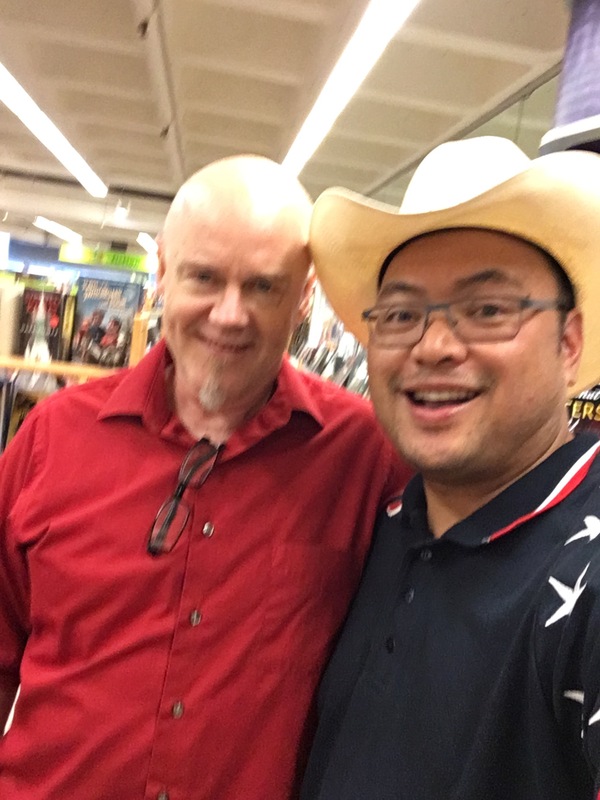 Last week, on the best Friday the 13th EVER, Deborah Beale and Tad Williams came to my home town Kassel for a reading in my favourite bookstore, an evening with family and friends from all over Germany and even Austria and the Netherlands and a far to brief stay at my house. And here is the video of the highly entertaining Q&A that followed. Indepth musings on Tad’s return to Osten Ard for those of you who speak German. Kudos @AstroLibrium! 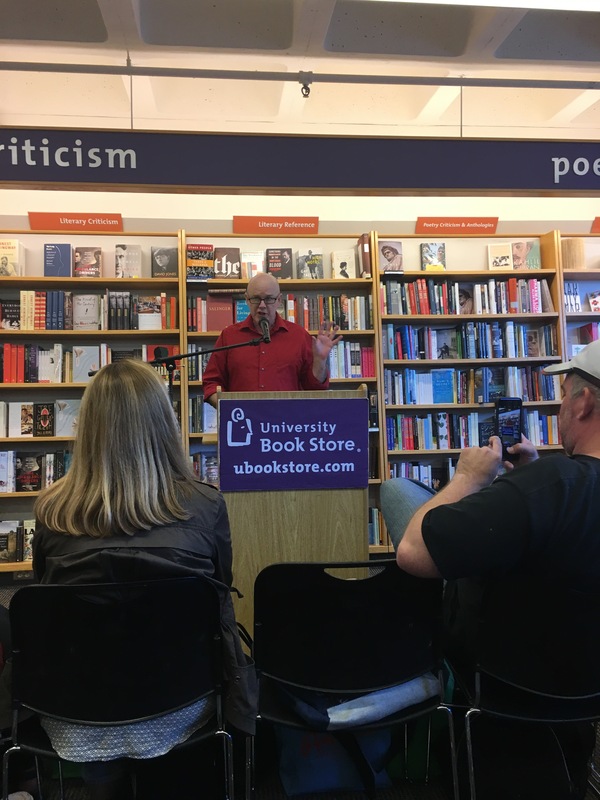 Here is a great report on Tad Williams’ latest book signing, held at University Book Store in Seattle. I will say, though, that the reading was powerfully nostalgic. As Mr. Tad Williams read his passage — a veritable word salad of strange Trollish names that no doubt sounded like an impenetrable chain of gobbledygook to the uninitiated — I was transported back to my days in college, reading until early in the morning and realizing I had class in two hours. They say that the surest way to “get” someone in, say, a cult is to develop a secret language, and this was like the cult of Tad Williams. 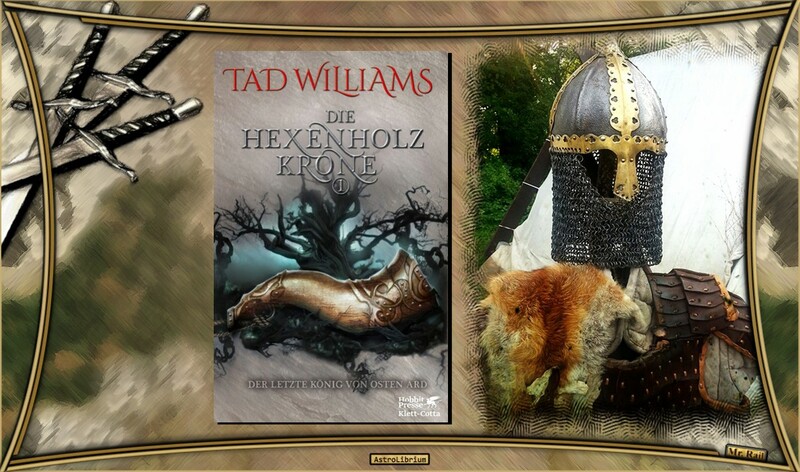 his coming week marks the long-awaited return of bestselling author Tad Williams to his fictional world of Osten Ard. The Witchwood Crown, the first volume of the ominously-named “The Last King of Osten Ard”, will finally see release on Tuesday next week, after a year of delays and over 20 years of readers’ requests for this book. I already have my copy, of course. It arrived in the mail just last week, courtesy of Joshua Starr over at DAW Books (thanks Josh!). It is actually the fourth version of the novel I’ve seen, for I previously read and reviewed three earlier versions of the book: an early, very rough manuscript which Tad Williams kindly sent me in May 2015; a heavily-revised manuscript from June 2016; and an Advance Reader Copy (ARC) in January 2017. Beautiful new Osten Ard maps! I received these early versions of the book because it was my rare privilege to be asked by Tad to be part of the team reviewing The Witchwood Crown manuscript for mistakes, a process I very much enjoyed because I absolutely loved the previous novels ever since I first read the first Osten Ard novel, The Dragonbone Chair, in November 1988. I also later helped as a consultant for the new Witchwood Crown maps. A pictorial map I drew back in 1992 served as the basis for the beautiful new maps created by mapmaker Isaac Stewart. And near the end of the process, I also worked on the Appendix in the back of the book. That itself was an adventure. I also served on the team that reviewed the shorter Osten Ard novel The Heart of What Was Lost in 2016. I was quite honored to serve as a beta reader; I also feel I did a good job pointing out continuity errors in the manuscripts. The truth is, I had plenty of practice: for 40 years, I was an avid television-watcher, and I grew up in an era (the 1970s and 1980s) when American television writers weren’t always so careful about the continuity of their worlds. Chuck Cunningham disappeared without Joanie or Richie ever noticing their brother was missing. As a television viewer, it always bothered me immensely, for example, when on The Cosby Show Cliff and Claire Huxtable claimed they had five children when previously they had stated they only had four, and when oldest child Chuck Cunningham suddenly disappeared from Happy Days without his family, or anyone else, ever noticing he was gone. “Why didn’t someone on the show say something?” I wondered. “How hard would it have been to mention Chuck was away at school?” As I grew older, I realized that most television writers of that era didn’t care about continuity. But my past irritations about the limitations of fiction helped me become a better continuity-checker, I think. You won’t find any examples of Chuck Cunningham Syndrome in The Witchwood Crown, I promise. The Witchwood Crown is large, say those who have held it, though not quite as heavy as a small child. The 721-page volume now sits proudly on my shelf, its onyx cover a stark contrast to the gleaming white covers of the earlier novels in the Osten Ard saga: The aforementioned The Dragonbone Chair, Stone of Farewell (1990), and of course To Green Angel Tower (1993), which holds the distinction of being one of the longest novels ever written. Been a really interesting last couple of days for me, work-wise, although nobody would have known it to look at me, since I spent most of it on my back, staring into space or with my eyes closed. Thank God Deb and the kids know that I’m actually doing something when I look like that, and I am not dead so nobody has to call the EMTs. I have about eight or nine plot/history/worldbuilding issues that I have to commit to before I finish the rewrites on the first new Osten Ard novels (one short and one long), but all eight or nine or eleven or whatever are such broad and complex and interrelated clouds of ideas that I have to focus at a much more granular level than I did earlier in the process, nailing things down in their final forms instead of “I’ll figure that out later”. I have to know how all the details actually work because these nexes or point-clouds I’m considering all affect each other and the whole rest of the story, plus the invented world history behind the whole thing. For regular Tad readers, when I say that I have to work out the entire history of the Sithi and Norn people from back in the Garden up to the present moment of the new story — some fifteen thousand years’ worth, probably — and integrate it with not only what is going to happen in the new books (The Witchwood Crown and The Heart of What Was Lost, which will come first) but of course everything that happened in a million words of MS&T, you may understand why although I’m lying on my back, I’m also clenching my teeth. 15,000 years of history, Tad wrote. This is an interesting number, for several reasons. The Sithi and Norns, Williams’ near-immortal characters, live for thousands of years. Clues peppered throughout the text of the original Osten Ard novels indicate that the main Sithi characters, Jiriki and Aditu, are less than 500 years old: they are youngsters among the Gardenborn. And yet their great-grandmother, Queen Amerasu, was born on one of the great ships which brought the Gardenborn to Osten Ard. And Amerasu’s great-grandmother, Utuk’ku, is still alive in The Witchwood Crown. The appendix of The Heart of What Was Lost lists Hamakho Wormslayer as the “founder of the Hamakha Clan and ancestor of Queen Utuk’ku”. 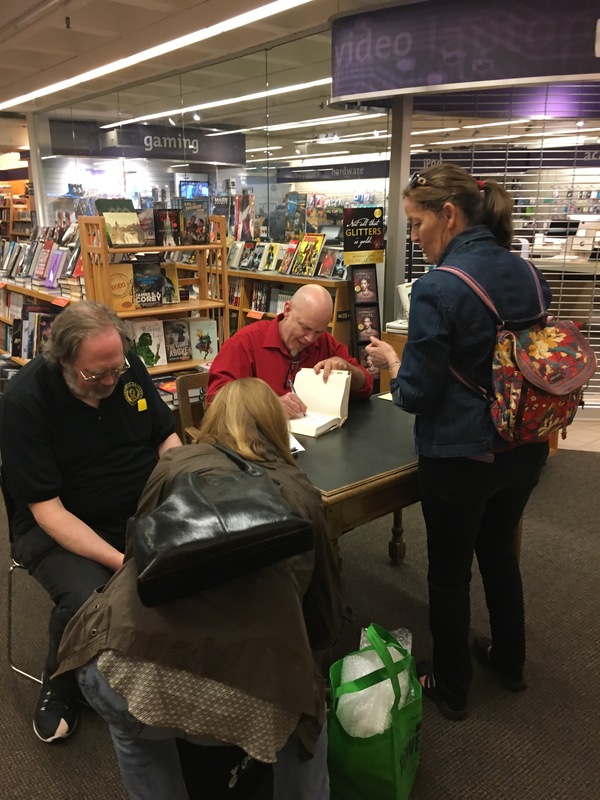 It is clear that Tad Williams is not just writing a sequel to the original Osten Ard books, he is carefully examining the roots of the Gardenborn, and expanding his mythology. It is possible that by the end of the new series, the mythopoeia of Osten Ard will cover the 15,000 years Williams mentions. And of course, as everybody knew was going to happen, I’m already troubling those few, kind, long-time readers who are giving me feedback on the early drafts, because nobody is going to agree with me on every explanation of something that already existed, or new developments for my old Osten Ardians. These are characters that have been in people’s heads for thirty years in some cases, so anything unexpected is going to feel like a violation. Anyway, the What in this case (trying to retcon my own work in a believable way) is not as interesting to me right now as the How, because I’ve found that the only way to work with all these issues at speed (since I can’t get on with the rest of my work without solving them) is simply to grind away at it. That means clearing my mind as much as that cluttered mess can be cleared, then pursuing all different configurations and possibilities through as many ramifications as possible, examining them, reworking them, refitting with different combinations and emphases, all in detail. Then trying another set of possibilities, and another, and so on, over and over, through each nexus-point where plot and history come together. And doing that is very much like trying to meditate, at least for me. Trying to make a clear space. Trying to follow a single idea (however ramified) through until I’ve exhausted its possibilities, without being distracted. So Tad Williams is aware of the damage an author can cause by expanding a mythos in writing sequels; while he mentions Dan Simmons, perhaps the most obvious example of sequels causing damage to a beloved world is George Lucas’ ill-advised Star Wars prequel abominations, which introduced Midi-chlorians and talking rabbits into a once-beloved franchise. But it is my opinion, after reading four different versions of The Witchwood Crown, two versions of The Heart of What Was Lost, and having read the previous Osten Ard novels The Dragonbone Chair, Stone of Farewell, To Green Angel Tower, and The Burning Man countless times, that Tad Williams has been successful in expanding Osten Ard without damaging the existing mythos, in a way that George Lucas wasn’t able to do with his own sequels. After 24 years of readers’ expectations, Williams had a Sisyphean challenge in front of him: how could he write for new readers, while still trying to please existing readers who had spent over two decades wondering what had happened to the characters at the end of the story? Not everyone will be pleased by the answers the author provides, some of which may prove very unpopular, but at least there are no flat-out contradictions, such as George Lucas’ strange decision in Revenge of the Sith to kill off Padme just after Leia’s birth when previously Leia said she could remember her mother. Ultimately, I believe The Witchwood Crown will please most readers. I’m certainly pleased by the result, and I’m already looking forward to reading the next volume, Empire of Grass.